Heading into our busy rental season, I figured it was a good opportunity to post something about the rental market. Typically you see articles or postings on what you can buy for a certain amount. Here I am going show you examples of what you can rent for $2500 in and around Boston. It's interesting to see how in different neighborhoods you may get a 1 bed for $2500, and in others that same $2500 with get you a gorgeous 3 bedroom. 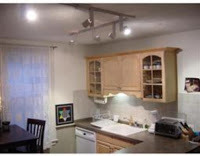 All photos and descriptions provided via MLS. The Italic gray font is text that is cut and pasted from the listing. My comments are in normal black font. 255 Beacon Street, #42Fantastic over sized 4th flr corner 1 bedroom in the heart of the Back Bay @ Dartmouth St, steps to the Charles River footbridge. Perfect layout offers entry foyer, lg living rm w/ FP & bay window river view, & totally renovated eat-in kit w/ SS appliances & glass-fronted cabinets. Hdwd flrs, hi-ceilings, lots of windows & light. Central air! Not bad for a 796 sq. 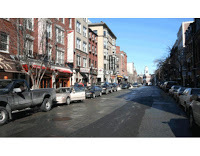 ft. 1 bed in a great location in Back Bay. Certainly not a value, but you are obviously paying for the location. Heart of the North End! 2BD/1BA,HW floors, carpet in bedrooms, direct water views, large common roof deck, gas heat, central air, recessed lighting, W/D on each floor, common storage. The North End is up in the top 5 most expensive Boston neighborhoods, so a 2 bed for $2500 is pretty reasonable. 339 Dorchester Street, #2New construction condo quality 3 bedroom, 2 bath with hardwood floors, stainless/granite kitchen, C/A, in unit laundry and deck. Pet friendly! Tenant to pay full fee. Available April 1st. 5 month corrective lease from April-August with option to renew for 12 month lease. Gorgeous 3 bed that was built from the ground up last year. 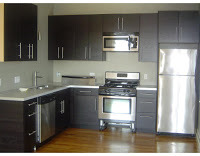 If this unit were in Back Bay, it would be $5,000/month or more! 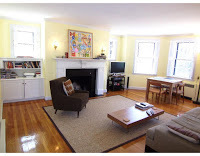 160 Hyde Park Ave, #3Spacious & vibrant renovated 4-5 bedroom JP condo. Short walk to Forest Hills T stop. Bi-level unit features hardwood floors, 2 full baths, sun filled rear deck, full driveway parking for 3 cars, mahogany pool table, washer & dryer and more. JP is a short commute to Boston and a very affordable option for many young professionals who can't afford to pay downtown prices. Overall, the residential rental market in Boston is in fairly good condition. I expect 3, 4, and 5 bedrooms to be in higher demand this August and September as people look to reduce their housing expenses. Many people in 1 or 2 bedrooms may move home with their parents to save money or into a larger apartment to reduce their monthly rent. Either way, if you are renewing your lease, I don't expect landlords to be increasing rents this year. Last updated April 25 at 11:59 am.